Like saving time? 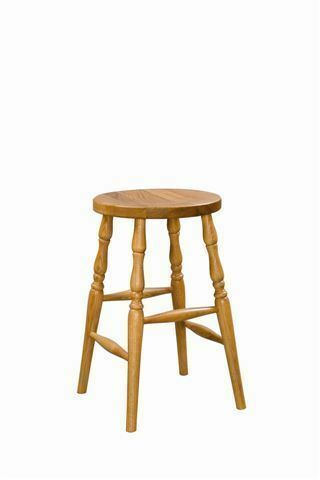 The Amish Made Wood Backless Barstools contribute to time saved with cool solid wood style. Snacks and quick breakfasts at the kitchen counter are comfy and enjoyable with these wood stools lining up for service. For those crazy nights after dance classes and soccer practice when everyone is coming home at different times, these backless barstools come in handy to serve a casual dinner at the counter. Made by the Amish in Lancaster County, these stools are built to perform for decades. Available in three heights and three wood types, you can fashion your own bar stools to fit your kitchen decor best. Backless barstools come in handy in many places. These beauties make a great option in front of your dresser mirror when you're getting ready or with a game room set up using a pub height table.